You are at:Home»Refugees»Pakistan and the rest of Asia Pacific»Why Hazaras are being Killed in Pakistan? 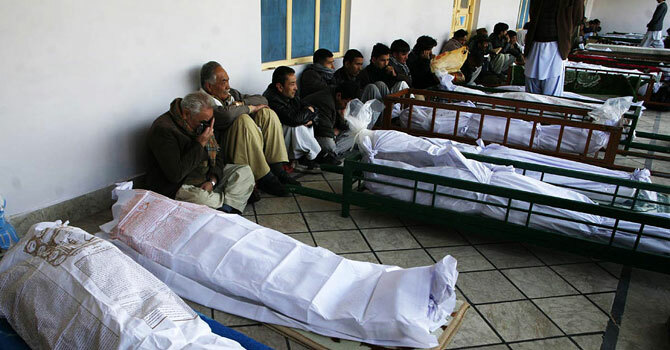 Once again Lashkar-e-Janghvi (LeJ) terrorists have managed to kill 28 Hazara pilgrims including women and children in Mastung district, some 50km Southwest of Quetta City, Pakistan and the provincial government once again has failed to protect the lives of its citizens. With respect to Hazara killings, the terrorists always get right information to murder Hazaras en masse outside of their vicinity. If they can’t find Hazaras outside of their surrounding areas, they easily manage to penetrate into Hazara neighbourhood by crossing heavily guarded security check posts to target Hazaras. So far, over 100 Hazara Shias have brutally been murdered only in Mastung area but not a single terrorist involved in the killings of Hazaras has been convicted. Only this year 33 Hazaras have so far been killed but not a single person has been captured. Last year, 281 Hazaras were massacred but not a single person was brought to book. Till to date, 1300 plus Hazaras have so far been killed and more than 3500 injured since 1999 but not a single person has been brought to justice. Then what hold the government and law enforcement agencies back to take action against them? It is the “will”. Do they have “will” to go after the terrorists? No, they don’t have. If not, then the question arises why the “will” doesn’t allow the higher authorities to bring the religious terrorists to justice? How many Hazara dead bodies does the higher authority want? Over 1300 Hazaras have already been killed. What does the elite class want Hazaras to do in Quetta City? Or what message the big boss wants to convey to the international community through Hazara dead bodies? And will the government ever launch military actions against the good religious militants groups especially LeJ, Jaish-e-Islam affiliated with pro-Pakistan Taliban? No, never. Then, why will the government show “unwilling” ? Because they are “the national assets”. Like past, the government may carry out some kind of clichéd military actions against them but will soon be stopped when the situation calms down. How do I help these Hazaras? They have the faces of people I’ve grown up with and as a Native American of Canada I can not just sit here and watch people with similar faces be killed for pointless game. I want to help these Hazaras.